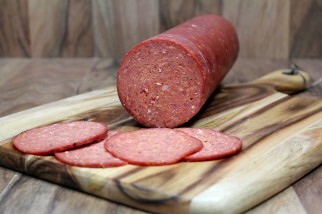 This salami is a gourmet style pepperoni. It’s smoked and cured and then air-dried for a minimum of two months. Mild in flavour with a dash of spice.